Goreswar in Baksa district keeping alive rugby in Assam! The entire Assam rugby team is represented by players hailing from Goreswar town in Baksa district of Assam. It is interesting to note that all the players in the Assam rugby team participating in the sixth Rugby Sevens Senior National Championship in Chandigarh belong to Goreswar town in Baksa district, according to a The Tribune report. 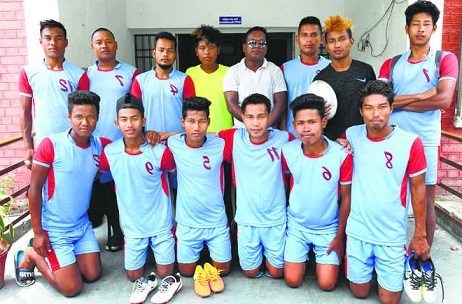 The report quoted the manager of the team as saying that a club was formed way back in 2007 by some senior players in Goreswar of Baksa district and introduced rugby to the aspiring sportsmen of the area. Interestingly, the sport became very popular in the area and is played on the banks of the Brahmaputra river, according to the manager of the Assam rugby team as quoted in the report. Notably, Assam came runner-up in the sub-junior circuit last year, which turned out to be the turning point for the state. The manager of the Assam team, Shantanu, however, lamented the lack of opportunities for rugby players in the State. It is also not a lucrative sport, youngsters hardly show interest and it becomes quite a task to convince the players of the rural areas to take up the sport, rued the manager. The report also quoted the manager as saying as there is absolutely no financial incentive from the government, it becomes quite difficult to run the show. It being an injury prone sport also dissuades youngsters to take up the game. However, Assam lost 33-5 to West Bengal on Saturday and post match the manager felt that his boys needed to improve.